Miami offers much to do for visitors traveling on a budget, including many museums within its Museum Park and Cultural Plaza areas that offer free admission daily or regularly on select evenings. 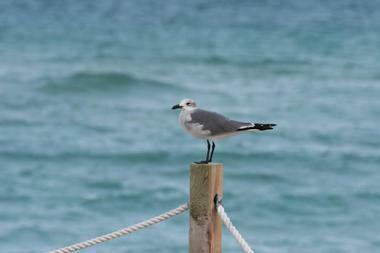 Public parks within adjacent Miami Beach offer unparalleled views of the Atlantic Ocean. The city is also known for its spectacular block parties and other free special events, including the monthly Viernes Culturales and Wynwood Art Walk gallery crawl events. Some attractions are free only on certain days – please check before you go. Historic Homestead Town Hall Museum preserves Homestead, Florida's original town hall building, constructed in 1917 and operated as the headquarters for the city's Council Chambers and police and fire departments until 1975. Since 1994, the building has been operated as a regional cultural museum, and since 1997, it has been listed on the National Register of Historic Places. Exhibits detail the city's social and cultural history, including a display of over 125 historic photographs with captions recording their cultural significance. A 1924 American LaFrance fire truck used by the city's fire department is also on display, restored to its original quality by a volunteer team of Tampa Bay residents. The free-admission museum is open Tuesdays through Saturdays during the afternoon hours and also serves as an area visitor center, offering brochures and maps of local attractions. The Institute of Contemporary Art Miami is dedicated to providing the Miami public with a showcase of experimental, cutting-edge contemporary artwork, offering free admission at its public facility within the Miami Design District. The ICA was opened to the public in 1996 as the Museum of Contemporary Art and moved to its present location in 2017, with a facility still maintained at its original North Miami location as well. 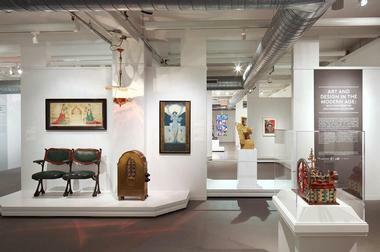 Rotating temporary exhibitions are curated to highlight the unique talents of regional and national contemporary artists working in a variety of mediums, with a focus on exhibits that foster dialogue between artists and the community and recognizes underrepresented artistic voices. 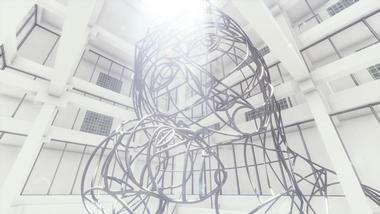 Though admission is free, visitors may reserve ticket slots for admission online to guarantee admission at select times. 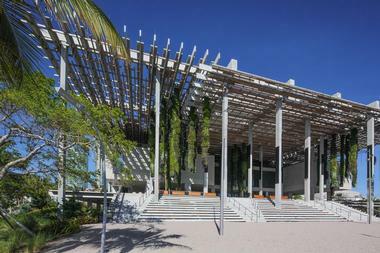 The Patricia and Phillip Frost Art Museum was founded in 1977 under the name The Art Museum at Florida International University, showcasing important collections of Latin American art and 20th-century contemporary artworks. 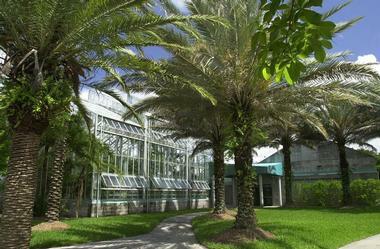 Since 2003, it has operated under its current name, located at FIU's Modesto A. Maidique campus. The American Alliance of Museums-accredited museum has been named as Miami's best art museum several times by both the Miami New Times and the South Florida Times, open to the public for free Tuesdays through Sundays during the afternoon hours. A permanent collection of more than 6,000 items is displayed throughout exhibits in the museum, with a focus on Haitian paintings, modern sculptures, American printmaking, and Pre-Columbian artifacts. The Pérez Art Museum Miami was originally founded in 1984 as the Center for the Fine Arts and was known as the Miami Art Museum for much of its tenure, until its relocation to downtown Miami's Museum Park and subsequent renaming in 2013. The new museum facility serves hundreds of thousands of annual visitors and displays a fine collection of historic and contemporary art, including collections of art and artifacts by cultures of the Atlantic Rim. Well-known works on display include pieces by Olafur Eliasson, James Rosenquist, Kehinde Wiley, and Kiki Smith, along with pieces by Mexican and Latin American luminaries such as Diego Rivera and Beatriz González. The museum offers free admission each first Thursday between 10:00am and 9:00pm and is accessible via the city's free Metromover rapid transit system. The Wolfsonian-FIU is a museum and library research center within Miami's Art Deco District, operated as a division of Florida International University for more than 15 years. The museum is centered around the idea of art and design as persuasive mediums, showcasing more than 180,000 international artworks and artifacts crafted from the beginning of the Industrial Revolution through the end of World War II. Collections from Europe, Latin America, Asia, Africa, and the United States detail the rise of industrialism and globalization throughout the late 19th and early 20th centuries, showcasing items such as World War propaganda, New Deal graphic design materials, and pieces from the Art Nouveau and Arts and Crafts movements. The Smithsonian-affiliated museum is open to the public for free each Friday evening between 6:00pm and 9:00pm, with free permanent collection and special exhibition tours available. 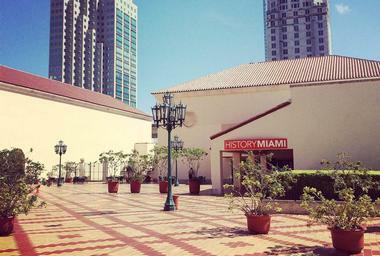 HistoryMiami is Florida's largest history museum, originally founded in 1940 as the Historical Museum of South Florida. 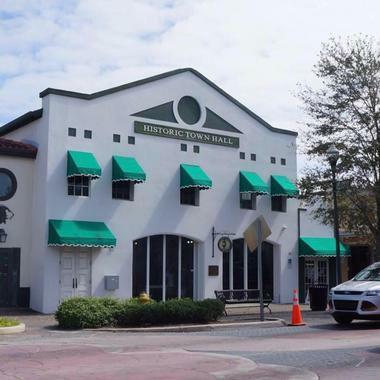 The downtown Miami museum is South Florida's second-oldest cultural institution and is a Smithsonian-affiliated facility, showcasing four permanent exhibit galleries and space for up to three rotating exhibits at any given time. More than one million historic images related to the history of Miami are on display at the museum, along with 30,000 artifacts chronicling the city's civic, economic, and social development. Major artifacts on display include a 1920s-era city trolley car and artifacts preserved from 17th and 18th-century shipwrecks in the Miami Beach area. The museum is open to the public for free on the second Saturday of every month as part of the Family Fun Days initiative, encouraging visitors of all ages to learn about the city's vibrant past, present, and future. 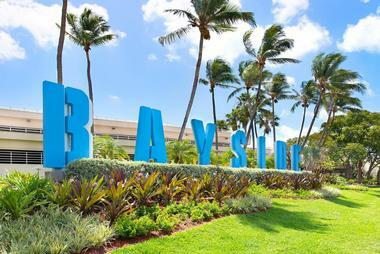 Bayside Marketplace is a downtown Miami open-air shopping center, located along beautiful Biscayne Bay and the City of Miami's marina. As Miami's most-visited tourist attraction, the two-story shopping center is home to a vast array of retail, dining, and nightlife spots, noted for its open-container policy and daily live music performances. More than 140 retail spaces host nationally-known retailers such as GAP, Victoria's Secret, and the Disney Store, with dining ranging from chain favorites such as Hard Rock Cafe and Bubba Gump Shrimp Company to lively local options such as Hamburguesa and the Bavaria Haus Beerhall. Visitors can drink by the beachside and embark on chartered bay cruises from the center's waterfront, including water taxis to Miami Beach and tours of celebrity houses on nearby Star Island. Visitors should note that while the marketplace is free to enter, many attractions require a purchase or ticketed upcharge. Hobie Beach at Key Biscayne, also referred to as Windsurfer Beach, is Miami's top spot for windsurfing, open to the public for free daily from dawn to dusk. The beach is located near the Rickenbacker Causeway near downtown Miami and Key Biscane, offering beautiful views of the city's skyline and Atlantic Ocean coastline. Visitors can learn to windsurf through two-hour and all-day group lessons, hosted by area professionals. Hobie cat rentals are also offered, along with kayaking and paddleboard rentals for exploring further out on the beach's waters. 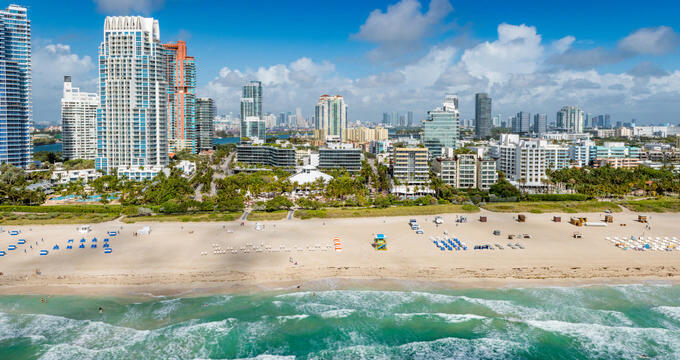 The beach is one of Miami's prime dog-friendly beachfront spots, with ample areas of shallow water for dogs to play in safety without fear of strong ocean currents. 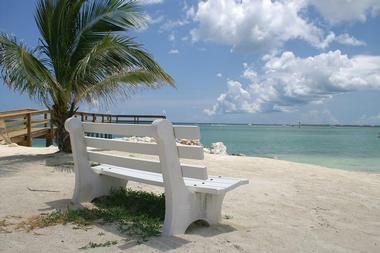 Free parking is offered at the beach for all visitors. Wynwood Art Walk is a free art walk event held the second Saturday of each month throughout Miami's Wynwood cultural district, known as the city's largest regular block party. 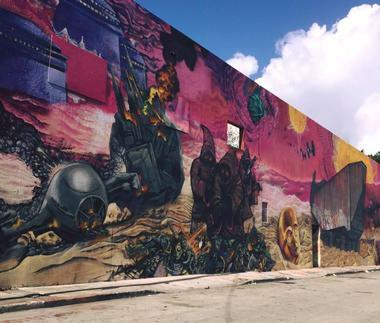 The event starts each second Saturday at 6:00pm, offering a unique chance to explore the graffiti, street art, and eclectic galleries and businesses of one of Miami's hippest neighborhoods. Exhibit openings are hosted at many of the neighborhood's galleries, with food and drink specials offered at many of the district's James Beard Award-nominated restaurants and trendy food trucks. 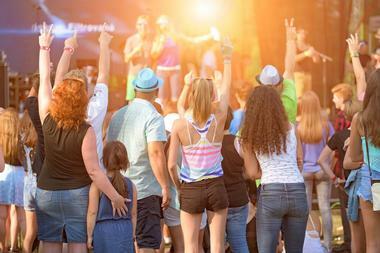 Live music performances are showcased by top regional DJs spinning EDM, hip-hop, rock, and pop hits. An artisan market is also offered, along with mixology demonstrations and street games such as giant Jenga. A walking tour map of the region's street art, the highest concentration of public street art in the nation, is available for exploration of the neighborhood's outdoor art attractions during events or at any time throughout the year. 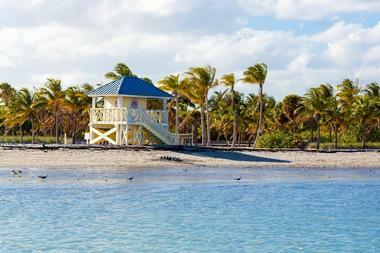 Crandon Park is a massive 808-acre urban park located within the northern region of Key Biscayne on land formerly belonging to the United States' largest coconut plantation. Following the donation of the plantation's lands to the city in 1940, the land was developed into an urban oasis, featuring family-friendly amusements and activities located along a two-mile stretch of Atlantic Ocean beachfront. Sections of the park are preserved as the designated Bear Cut Preserve Environment Study Area, with environmental exhibits offered at Biscayne Nature Center. Other attractions include a family amusement center, a marina, an 18-hole golf course, a tennis center, and day-use picnic areas. Viernes Culturales, or Cultural Fridays, are a monthly art and cultural festival held within Miami's Little Havana neighborhood, the vibrant heart of the city's Cuban culture. 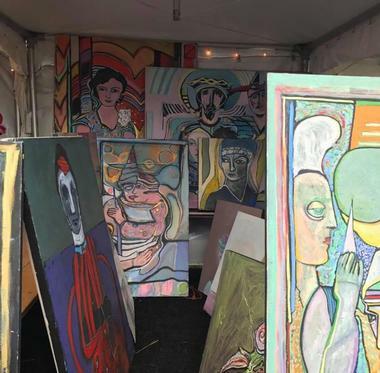 The event was developed in conjunction with the City of Miami Commission in cooperation with the Latin Chamber of Commerce and has been held monthly every year since 2000, attracting top international artists and performers. It is held each month on Calle Ocho from 7:00pm to 11:00pm, drawing diverse audiences to explore local galleries and listen to music and dance under the stars. Food and drink specials are offered at many local restaurants, with cultural demonstrations and artisan vendors presented throughout the event. Free walking historical tours of the neighborhood are offered each month by Dr. Paul George, showcasing the region's beautiful historic architecture and monuments. Free trolley service connects the neighborhood to the city's Metromover system during the event, operated every 15 minutes. Art Deco Weekend is Miami Beach's longest-running free cultural festival, hosted over three days in January by the Miami Design Preservation League, the world's oldest Art Deco society. The event was founded in 1976 and strives to protect and showcase the largest concentrated collection of Art Deco architecture in the world. 85 events are offered throughout the weekend, including classic car shows, retro fashion shows, and the annual Bark Deco Dog Show. Most events are free, including the festival's annual street fair, which brings artisans, vendors, and food trucks to South Beach, along with live musical performances and other festivities. 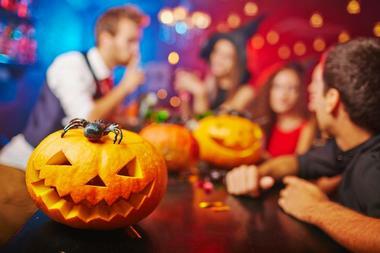 HalloWYN 2018 is the official Halloween block party of Miami's hip Wynwood district and is the largest free holiday block party held annually in Miami. Visitors are encouraged to come to the festival in larger-than-life costumes, which are judged as part of a costume contest that offers monetary and bar credit prizes. Spectacular themed displays are chosen each year for the block party's bar, which serves up signature holiday-themed cocktails throughout the night. More than 20 popular Miami food trucks are also parked on site throughout the event, along with top DJs, dancers, and live street performers who showcase unusual talents such as cage dancing and fire spinning. North Shore Open Space Park is one of Miami Beach's largest public parks, spanning 36 acres along the district's stunning Atlantic Ocean coastline in an area that is much less populated with urban development than most of the city. The park stretches along Collins Avenue between 79th and 87th Streets, showcasing beautiful native coastal hammock wildlife and dune formations. A beach walk extends between the park and nearby Allison Park, with children's playgrounds and outdoor exercise equipment scattered throughout the park. Public showers, restrooms, picnic tables, and day-use pavilions are offered, with barbecue grills available for visitor use. Dogs are permitted within the park, although they are forbidden to enter beachfront areas. Metromover is the Miami metropolitan region's unique free mass transit system, one of only three similar peoplemover train systems in the United States. The system, which originally began servicing the city's downtown district and Park West, Brickell, and Omni neighborhoods in 1986, offers three high-rise-track loops that stop at 21 stations throughout the city, separated by approximately two blocks apiece. It has served as a catalyst for urban redevelopment and tourism within the city, connecting major attractions such as the American Airlines Arena, Bayside Marketplace, Historical Museum of Southern Florida, and the city's Cultural Plaza and Museum Park districts. 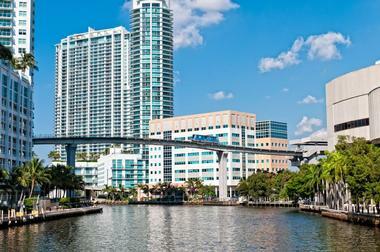 Visitors can ride the Metromover for an elevated view of the city's skyline and attractions or connect to the nearby Metrobus and Metrorail systems for a low-cost transportation alternative throughout other city neighborhoods. Loops run between 5:00am and midnight throughout the week, with extended late-night service on Friday and Saturday evenings. 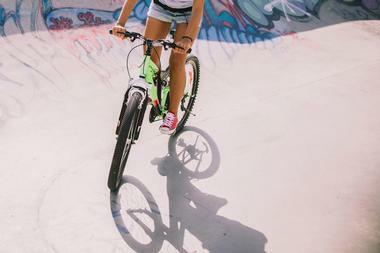 BYOBike Sundays are a free cycling tour and street art dialogue offered each Sunday afternoon at 4:00pm within Miami's gorgeous Wynwood neighborhood, known internationally for its impressive collections of street art and graffiti. All tours are led by local screenprinter and performance artist Ryan the Wheelbarrow and last approximately one hours, showcasing top outdoor murals and street art sites. Tours are held rain or shine, meeting each week at the neighborhood's Panther Coffee location on NW 2nd Avenue. Though tours are free, gratuities to tour guides are greatly appreciated. For an addition $10, participants can purchase artist-exclusive treasure maps, correlating with sites shown on the tour.